Luke (Blake Michael) and his twin sister Sera (India Eisley) have unusual abilities. Hers is a gift—she can heal with a touch of her hand. His is a curse—he can see the future but he can’t do anything about it. On a hike up the mountain, Luke has a vision unlike any other—one that leaves him terrified. Knowing that it will come true—and that he must do everything in his power to stop it—leaves his own future uncertain. 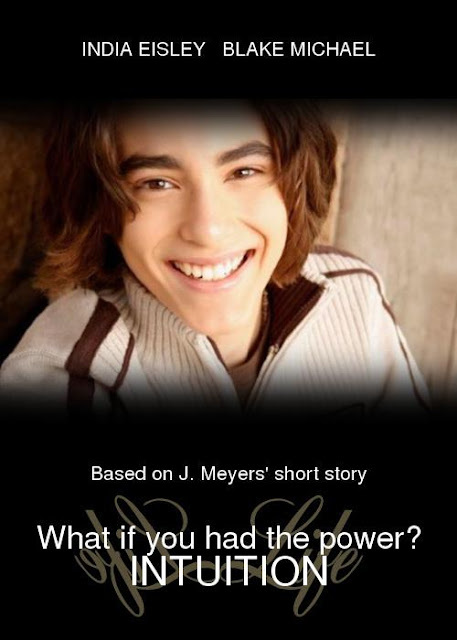 Down load J. Meyer's short story for FREE on your Kindle. This looks fun..and very interesting. I do like the short story! & they would be good in the roles.